A one of kind balloon bouquet to celebrate someone's graduation. 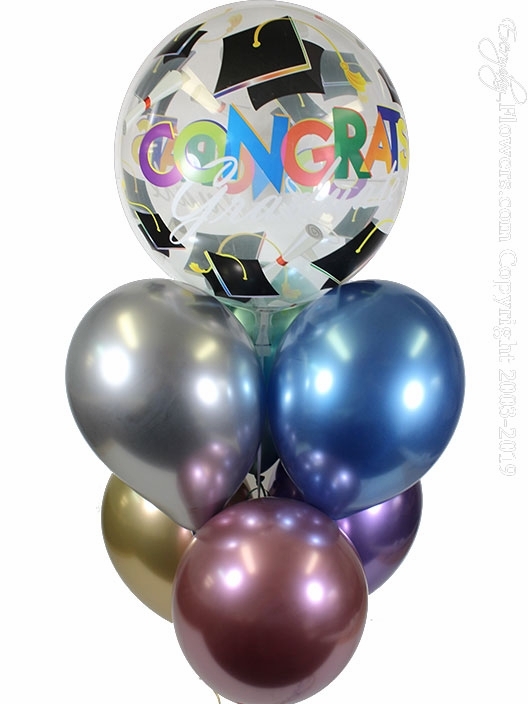 This balloon bouquet features six of our new chrome balloons in assorted colors and a Graduations themed bubble balloon. Arrives with 6 11" latex balloons and 1 22" bubble balloon filled with helium attached with matching ribbon and properly weighted.